← YES! Self Denial Is Good! That’s right, I said FEEL, vs. hear. 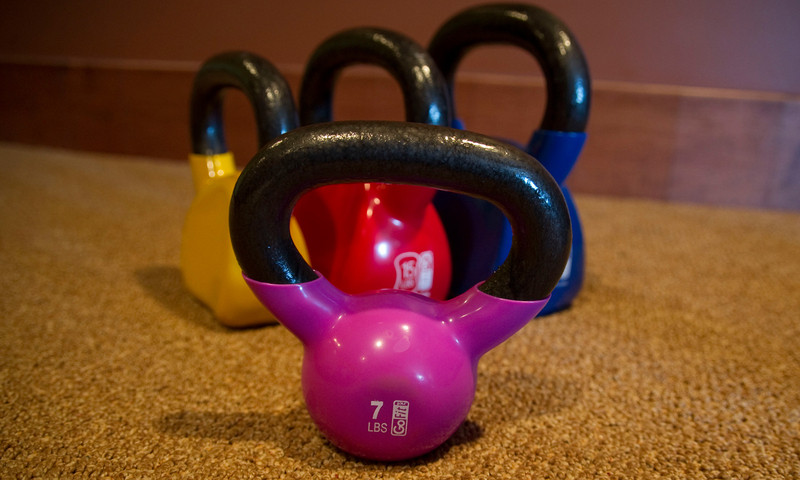 If you haven’t met yet, let me introduce you to the kettlebell. This fun little (or big) dandy is a surprise of a good time… and the only ringin’ you’re going to be feeling, are your muscles burning. The good time is that when you’re in the workout, it doesn’t seem like you’re doing that much… I remember the first time I’ve done each new kettlebell workout, I didn’t feel like I had done much at all. HOWEVER, the surprise comes the following day or two… or three, when it feels like someone squeezed the tar out of your inner thighs and rear. Let me advise you to skip the 7lb kettlebell purchase. When I was getting introduced, I just didn’t know what I’d need so I bought the smallest one. That was pointless. My children sometimes use it, so I suppose it’s not completely worthless at our house – but for you – save the money on my mistake. The 10lber is where you want to start some hurtin’… and it really isn’t that bad. (Remember what I said at the beginning!) I usually use the 15lb kettle bell, and then the 20 lbers for some reps, and other action in a few of the workouts I have… but I started with that 10lber, and it was plenty of a challenge for many months. 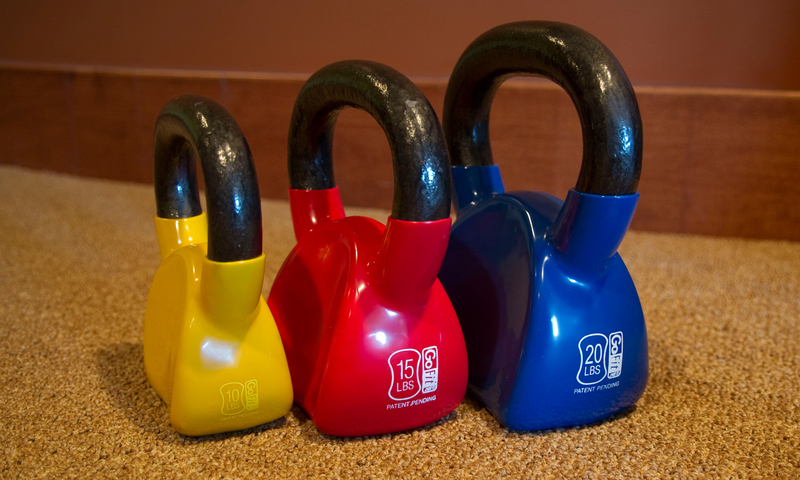 Now there are several brands of kettlebells out there, and they do have different designs. The kettlebell originated in a completely different purpose of exercise than what I use in my home. A quick Youtube search on the bell will show you how weightlifters throw that baby around. Believe me, you won’t want to do those moves in your house – but that’s where the more “ball” or round shape comes from. The ones I’ve purchased are from Bob Harper. The moves he, and some of Jillian’s DVDs require, fit more in line with the contoured shaped kettlebell. If you have bad wrists at all (like I do), then you’ll appreciate the side being smoothed out vs. a ball smacking against your wrist bone again and again, causing further damage. Stay tuned we’ll be talking more about my favorite workouts with my special kettle bell weights later this week! Need a giggle today? Check out this 16 month old doing some killer dead-lifts. If she can do it, so can YOU! Posted on February 27, 2012, in Change, Metabolism and tagged Bob Harper, GoFit, Jillian Michaels, Kettlebell, Shred it with Weights. Bookmark the permalink. Leave a comment.